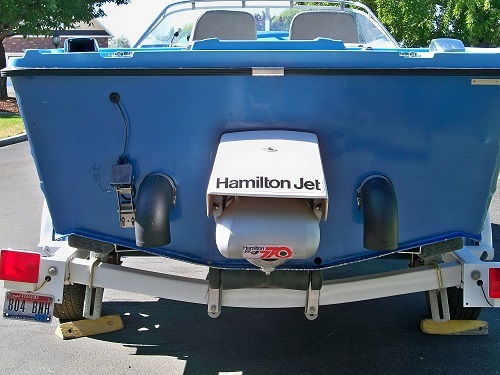 1990 16′ Hamilton jet boat. 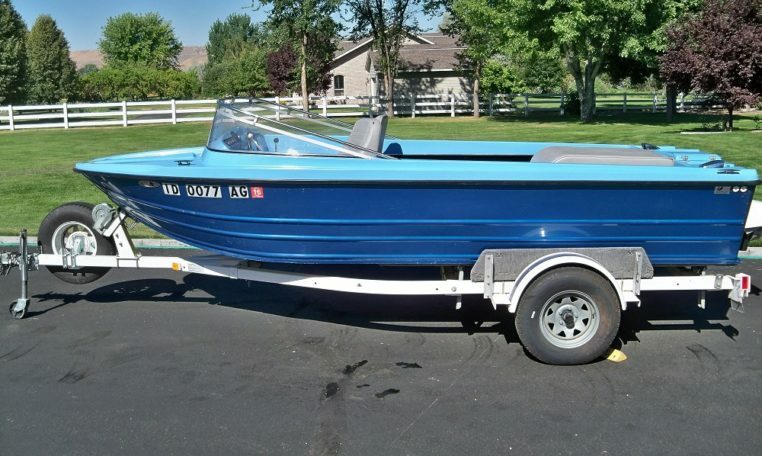 Last boat completed by the Ralston Boat Co. in Idaho. I purchased boat from builder. 144 hours on meter at present. 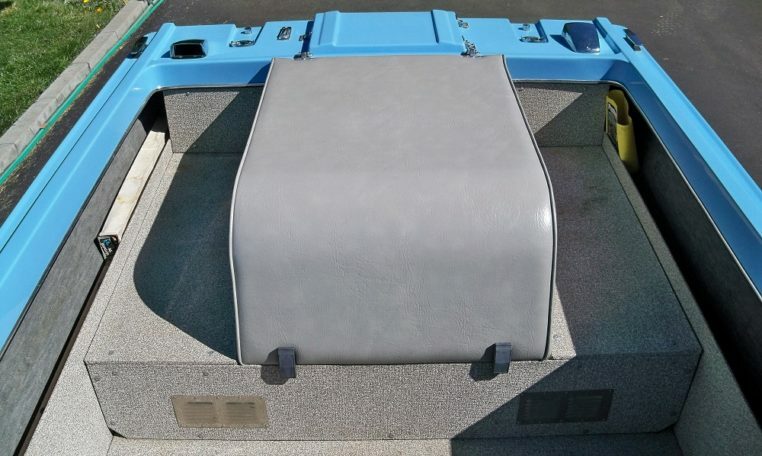 Hull is aluminum and top is fiberglass. 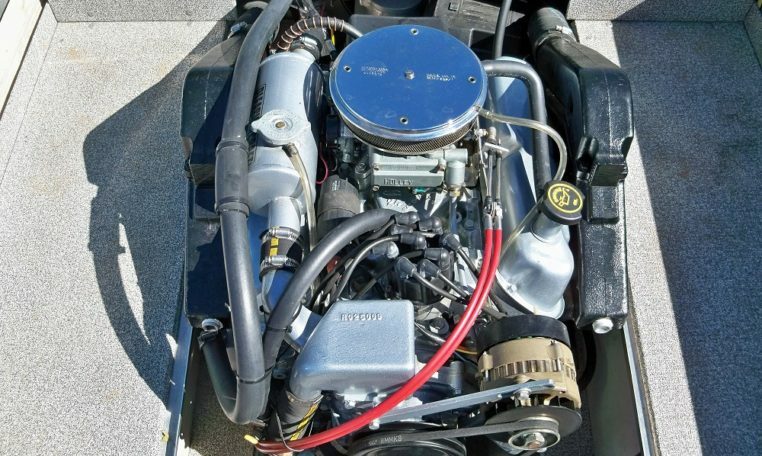 Left hand steering, Ford 302 (220hp) four-barrel carburetor, Hamilton 772 two-stage pump, sand trap, and two 25 gal. fuel tanks. Both steering wheel and FOOT throttle. Both seats swivel and slide forward/back. Mooring/traveling cover made by The Cover Shop in Boise, ID. Gauges(Above Steering wheel) from L-R: Hours, fuel, volts, temp, oil, and tack(large gauge). Switch panel (Center dash) L-R: Ignition, bilge pump(2), blower, lights, fuel(2 tanks), and heaters(2). Engine has closed cooling system with under dash heater for pilot and additional(separate) heater for passenger. 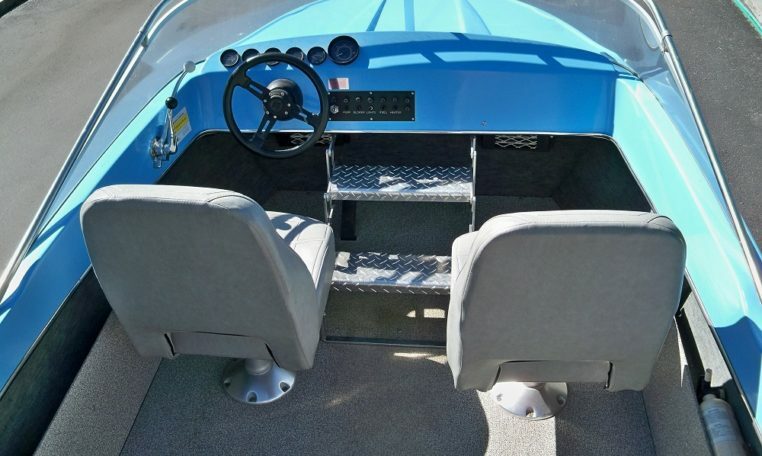 Under dash is a two step collapsible ladder for ease of getting in or out of boat over windshield. Ladder is like ones used in getting into campers on pickups. To winterize: open sand trap and take out one drain plug, that’s all. 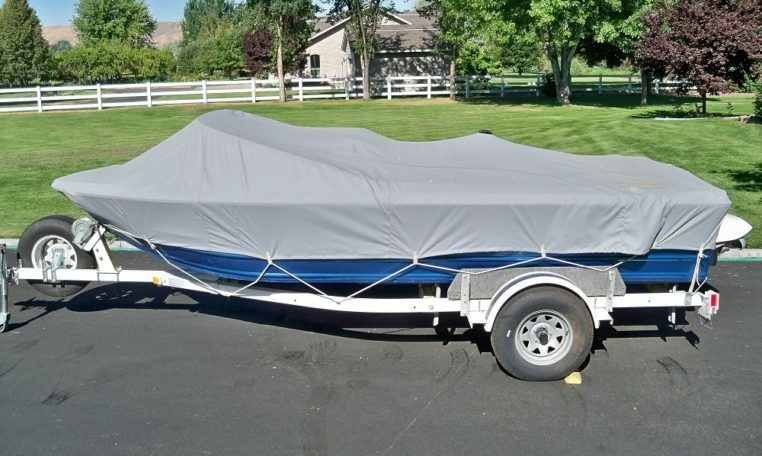 Location of boat – HAGERMAN, ID. Price – $13,000.00 US Funds. Contact Jens if interested, etc.